Neurosurgeons at Boulder Neurosurgical & Spine Associates employ this completely new breakthrough laser technology that was invented and developed at MIT (Massachusetts Institute of Technology) as a supplementary tool during discectomy and fusion surgeries. This technology is based on a flexible delivery of CO2 laser energy and enables no-touch vaporization of the disc material and scar tissues. The neurosurgeons at Boulder Neurosurgical & Spine Associates right away noticed the difference in performing laser-assisted spine surgeries compared to the surgeries performed with the standard tools. Instead of pulling and tearing, we can now simply ablate (dissolve) the arthritic tissue. Click this link to read a case report and the results of the study that evaluated safety and clinical outcomes of 24 patients who underwent laser-assisted lumbar fusions. Figure: BeamPath NEURO Co2 Laser. Lasers have been used in neurosurgery for the treatment of brain tumors since the 1970s. However, the lack of flexibility and thus the ability to utilize lasers only within the surgeon’s direct view hindered the use of this energy source in spine surgery. The BeamPath NEURO CO2 laser is the world’s first flexible laser energy delivery system. 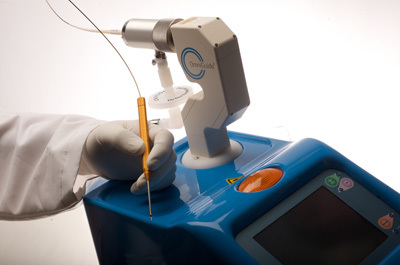 This laser is exceptionally valuable in the treatment of arteriovenous malformations, brain and spinal tumors, and could be used as a supplementary tool during discectomy or fusion surgeries by simplifying the disc removal process. 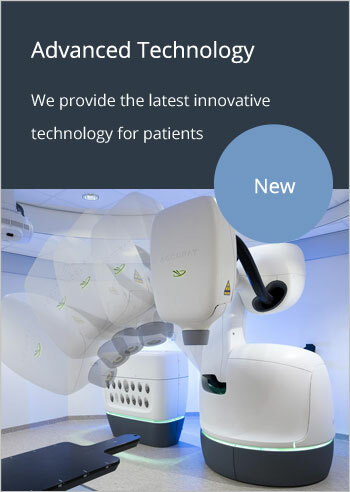 We believe that there is a potential for this new CO2 laser-assisted technology to improve the efficiency in the operating room, because it allows to ablate the tissue in the lateral recess, including osthephytes and durable connective tissues. The minimal lateral thermal spread reduces the risk of injury to the overlaying nerve root and theoretically makes this technique safer than the other existing laser-assisted discectomy procedures. The CO2 laser also has a capability to cauterize the nociceptive fibers within the wall of the annulus. As a result, we expect to achieve a more complete herniated disc removal and improved clinical outcomes. The laser-assisted spine surgeries are gaining popularity among the patients due to the minimal invasiveness and quicker return to normal activities. However, this type of surgery receives less favorable feedback from the majority of spine surgeons due to a limited ability to deal with the cause of pain and inability to remove the bone. These procedures are usually referred to as percutaneous laser-assisted discectomies and they only allow the removal of a small amount of the nucleus pulposus, some reduction of the pressure within the disc, and often only temporary relief of radicular pain. This may be a good procedure for some patients if performed correctly, but unfortunately, it can only help a very limited number of patients. Furthermore, these patients can usually be treated conservatively. Two main reasons cited in the medical literature for postoperative pain after percutaneous laser-assisted surgeries include insufficient removal of herniated or degenerative disc tissue and traumatization of a nerve root. This is why we only use lasers as a supplementary tool along with traditional surgical methods.